The Christmas season is filled with all kinds of goodness. Food, fun, and family are the essential ingredients for making the holiday great. Teachers get a chance to gain the needed fortitude to prepare for school to begin in January. I’ve updated my New Years alpha-numeric codes for the 2016 year. Once again, I’ve made this a free resource. It’s suitable for grades first through third. Here’s how it works. 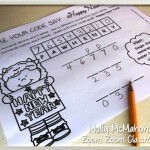 Students use the alpha-numeric codes that are provided to decipher new years messages. One of the photos in the slide show is a new years resolution a child might make! Developing high order thinking skills is essential for the 21st century! Students need to create their own alpha-numeric codes to achieve this. Otherwise, they’re just filling in letters and reading a phrase. 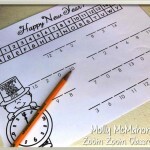 I’ve created a sheet that will allow them to program numerals within the code for the phrase, “Happy New Year”. 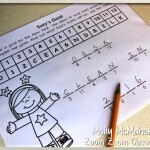 Once they have practiced using the codes with the other printable sheets, they are ready to create their own. When kids are learning how to fill in the letters for a code and creating their own codes, it helps if they can see an example. If you have a way to project the images on a whiteboard, it’s much easier than writing a model by hand on the board. I have a SMART Notebook file that can help you to do this. 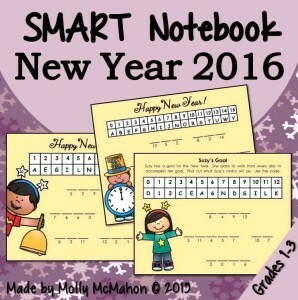 If you have SMART Notebook software and a SMART board, you can get this file at my Teachers Pay Teachers shop as well. Both files are freebies! Click on the images shown below to access the files and my shop.